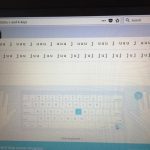 In 2016, I began teaching children from years 1-4 touch typing. That is, typing without using the sense of sight to find the keys. More specifically, knowing the location of the keys through muscle memory so each finger has a place to sit and can automatically move to a key without visually looking at the keyboard. So over time it becomes an instinctive skill and ones thoughts can be focused on what you are going to type rather than searching for a particular key. The need for children to be able to touch type arose primarily because NAPLAN testing is moving into an online environment. Furthermore, in the technological world we live in today, children have to be familiar with computers and being able to touch type can be applied throughout all learning areas. 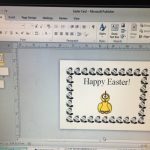 In addition to touch typing, using specific programs, children apply these skills using Microsoft Word and Publisher. 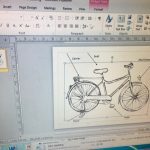 Children have learnt to make cards, label maps and type up stories using these programs.